The Meade's ETX80 Observer, with an 80mm lens, gives you a superb view of the sky. This Meade ETX80 Observer's Achromat refractor allows viewing objects at a focal length of up to 400 mm. In addition, the two 1.25-inch Super Plossl eyepieces support a magnification range of 15x (26 mm) to 41x (9.7 mm). Its 2x Barlow lens enables increasing the magnification to double. It comes with a backpack and accessories. item 2 MEADE ETX80 f/5 Achromat Refr. 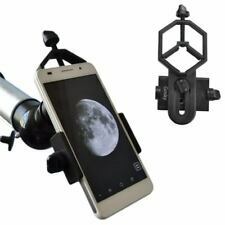 GoTo Telescope with Backpack + FREE GIFT!!!! - MEADE ETX80 f/5 Achromat Refr. GoTo Telescope with Backpack + FREE GIFT!!!! When I received my case the front had been squashed in by UPS. The box they ship these in should be stronger, and perhaps some kind of rigid foam should be placed inside the case to prevent this. It wasn't damaged beyond use, but needless to say I was a bit upset about it since it cost $70 plus shipping.